that are native to the Pacific Northwet. 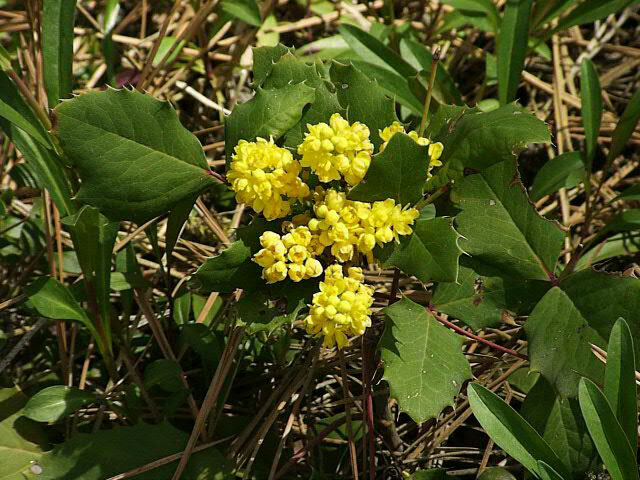 with a nice reddish-bronze color in spring, before turning to dark green. making them a perfect choice for a barrier or hedge. 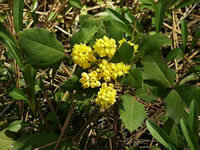 and are followed by clusters of small, edible, grape-like fruits by late summer. Painted Lady Butterflies, Mason Bees and a wide variety of Birds. Oregon Grapes are hardy in USDA zones 5-9.
but will grow best in partial shade. They will tolerate a wide range of soil types, but thrive in humus rich, slightly acidic, evenly moist but well draining garden soil. For the best results, mix in a generous amount of compost to the planting hole. Provide protection from strong winter winds. 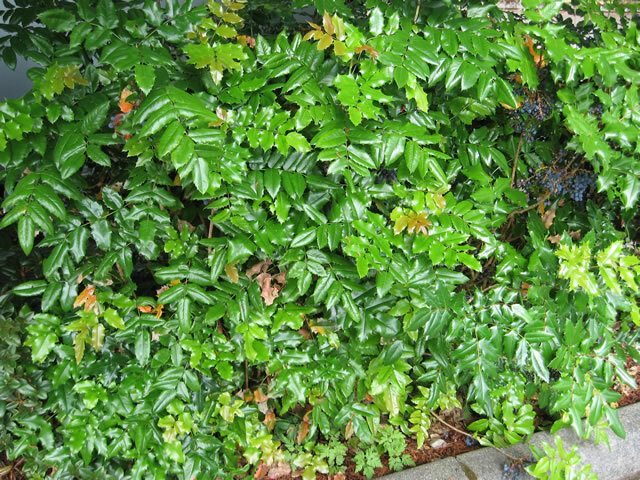 In the spring, Oregon Grapes can be pruned for shape or cut back hard to remove straggly growth. taken from semi-ripe wood in the fall. and planted elsewhere in the spring. 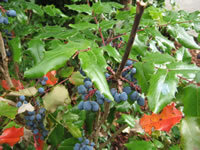 Oregon Grape seeds require 3 weeks of cold stratification. For the best results, the seed should be sown in the garden as soon as it is fully ripened in the fall, for germination during the following spring. Stored seeds may take up to six months to germinate. 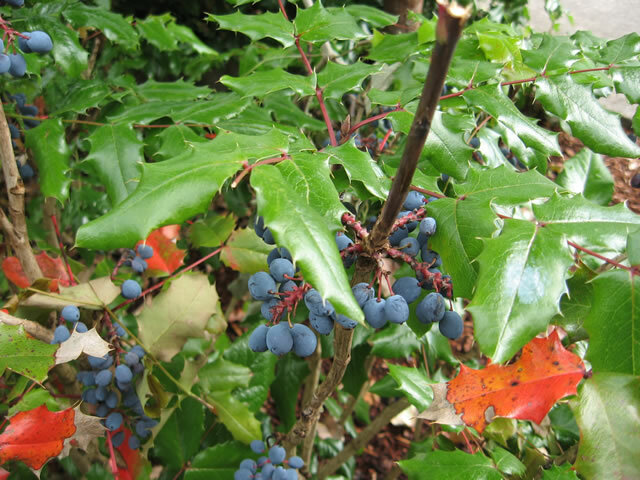 When starting Oregon Grape seeds indoors, place them in moistened planting mix and store them in the refrigerator for 3 weeks prior to sowing. Maintain a temperature of 50° in the growing medium until germination, which takes about 6 weeks if the seeds are fresh. 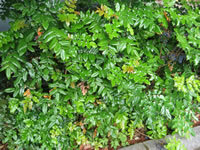 The third image is of a Creeping Mahonia, Mahonia repens.